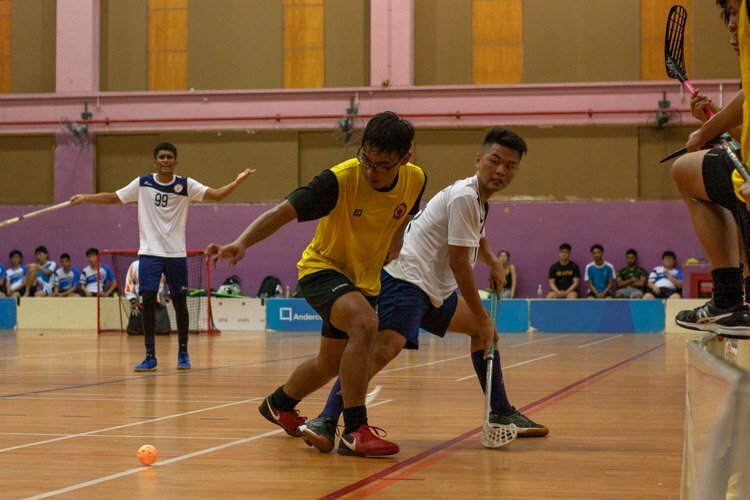 Hougang Sports Hall, Wednesday, April 3, 2019 — Even though it was the first match of the preliminary round of this year’s A Division Boys’ Floorball Championship, the game played by Tampines Meridian Junior College (TMJC) and Victoria Junior College (VJC) kicked off to an intense notch. 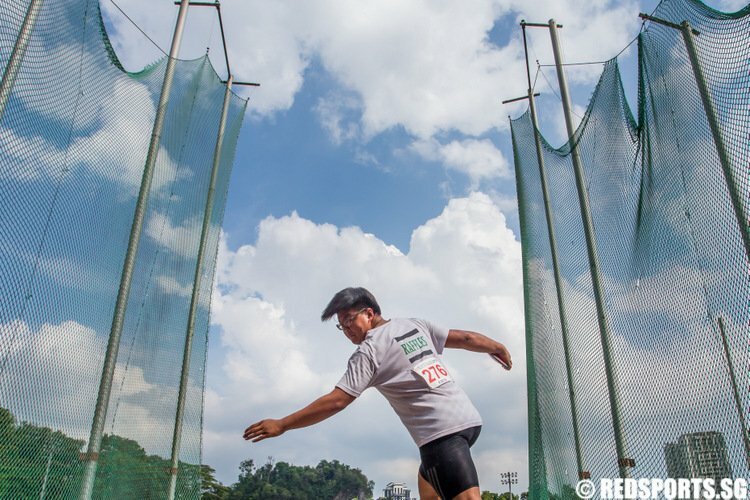 It was just last year when Raffles Institution (RI) dethroned VJC by claiming the championship title, while Meridian Junior College secured second. 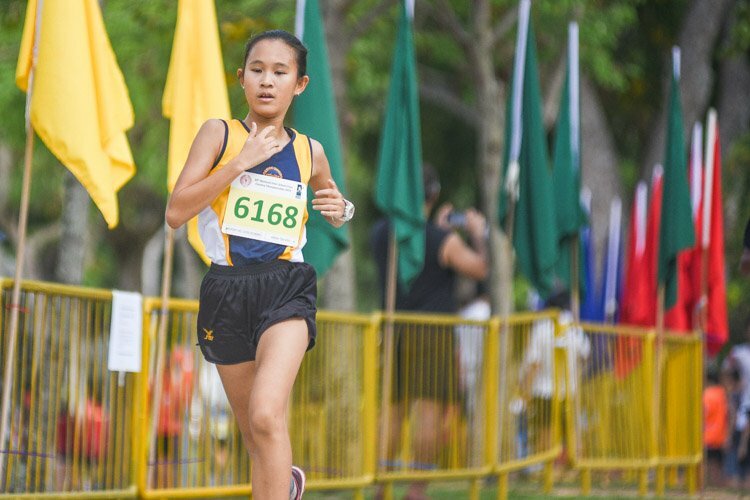 VJC beat Tampines Junior College (TPJC) to clinch bronze, while TPJC landed the final spot in the top four. 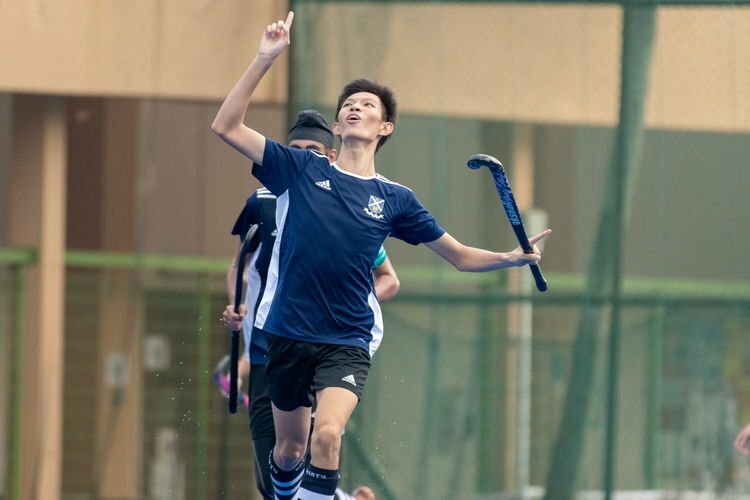 As such, the match was truly the kick-start of the season, consisting of the merged fourth and second placing schools and the third placing VJC. Right from the whistle-blow, VJC took on an aggressive stance and fell immediately to their tactical formation. The moment they had ball possession, Meximmus Ow (VJC #66) and Darius Phua (VJC #67) played and passed the ball from the left to right of the court in a one-two manner. 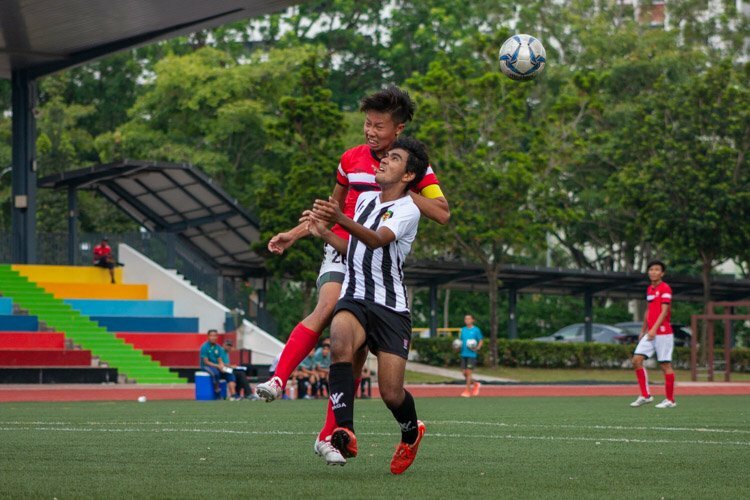 However before they could shoot, TMJC players girded up their defense to intercept their quick passes to provide a swift counterattack that almost landed the ball in VJC’s goal. Unfortunately for TMJC, their shots were off target, proving to be a liability that gave VJC a clear lead for the first period. 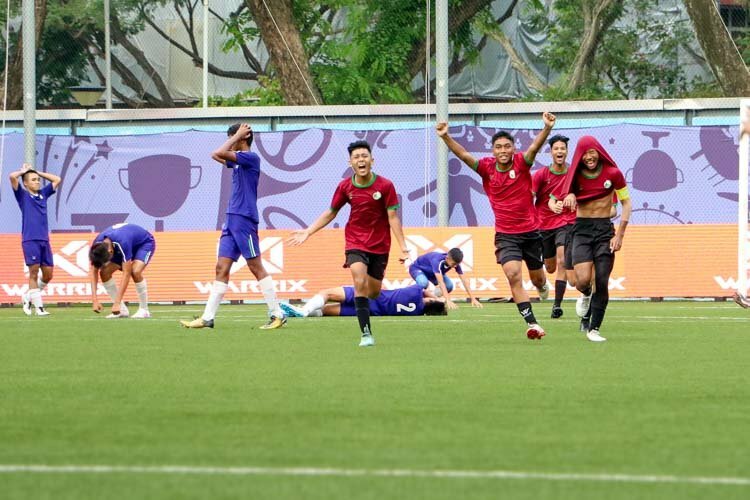 The first goal was conceded by TMJC and scored by Darius (VJC #67), who dragged a shot from half court to the top corner of the goal. Within two minutes, VJC’s lead built up to 2-0. 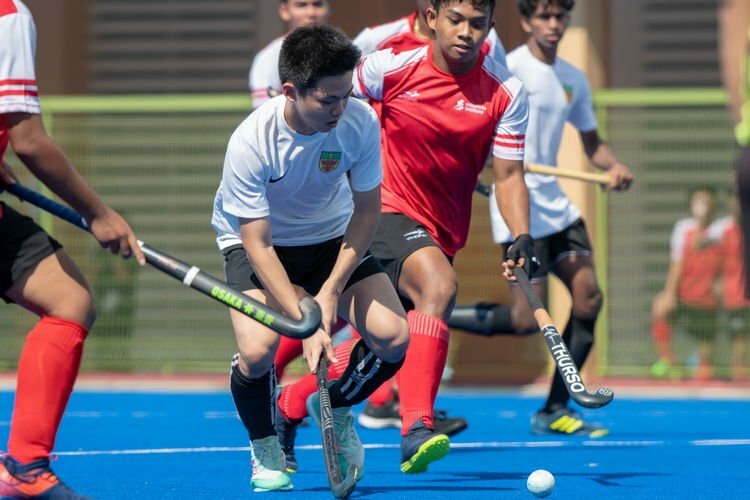 Exemplary pair work shown by Muhammad Khairul Amshar (VJC #21) and Sanjeevan Selvam (VJC #55) allowed the ball to be played around the post, flustering the goalie, Zachary Goh (TMJC #1), until he could not manage to stop the ball from rolling into the net. 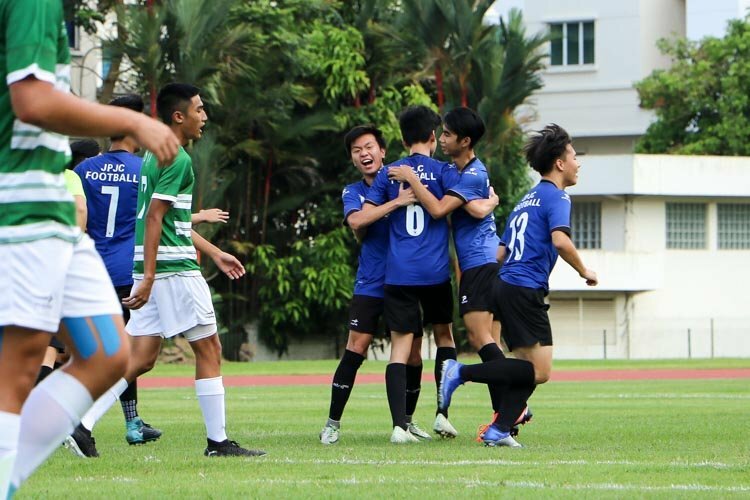 VJC rode on their winning momentum to deliver yet another wrap-in goal within the next few seconds. Despite being down 0-3, TMJC continued to show aggression to deliver several attempts at the net. It was then that Muhmmad Ammar (TMJC #62) took the ball from top half of the court to the bottom-half in a counter-attack, delivering a swift pass to Azhari Saputra (TMJC #77) who tapped in their first goal. The goal provided a morale boost to TMJC that carried over to the second period. 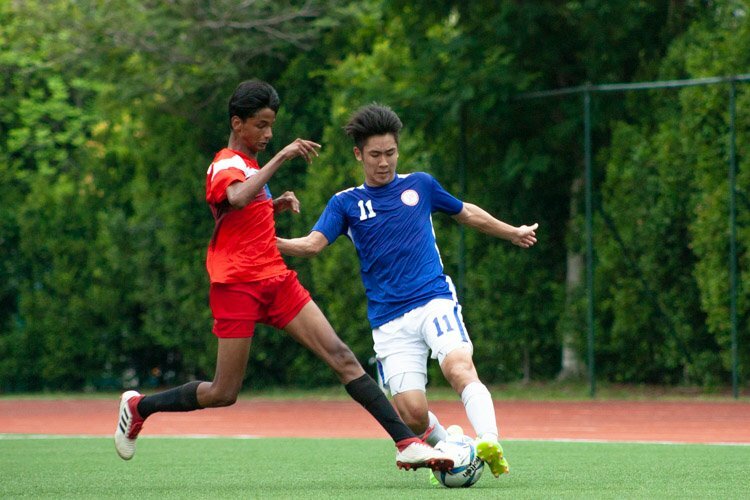 It was only within minutes that Azhari led an assist, and sent a pass to Austin Teo (TMJC #17) who shot from the centre. 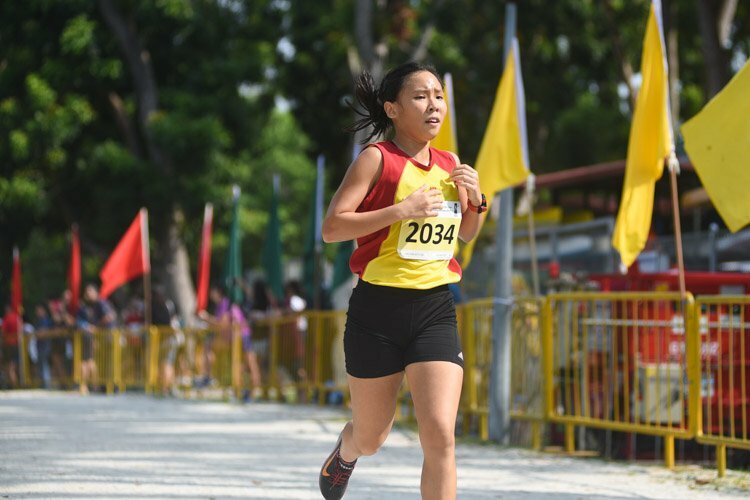 Nevertheless, VJC were only minutely shaken up and girded their defense once more. Khairul (VJC #21) took the onus to further their lead by one and shot the ball in from a tight angle. Every attack was countered with equally sturdy defense formations from both sides, that of which pushed the intensity of the gameplay. With four minutes left on the clock, TMJC managed to reduce the goal difference by one with another goal by Azhari (TMJC #77). 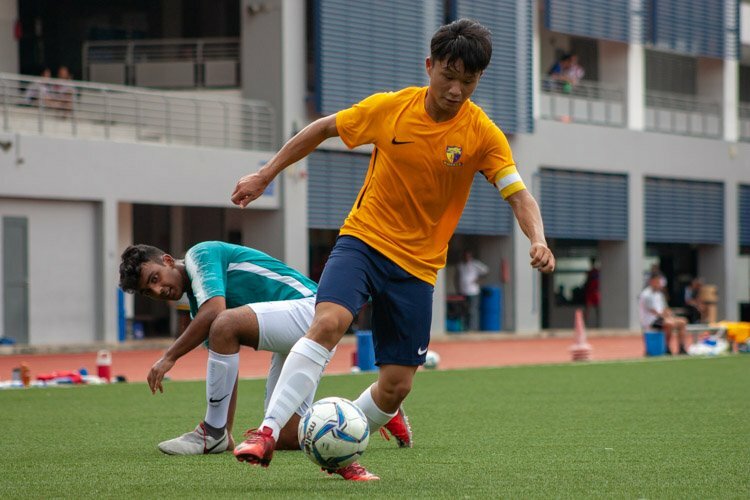 As the intensity of the match reached its peak, an equaliser was soon scored within a minute, once again by Azhari (TMJC #77), closing off the game at 5-5. On the other side of the coin, sentiments for the game were similar. 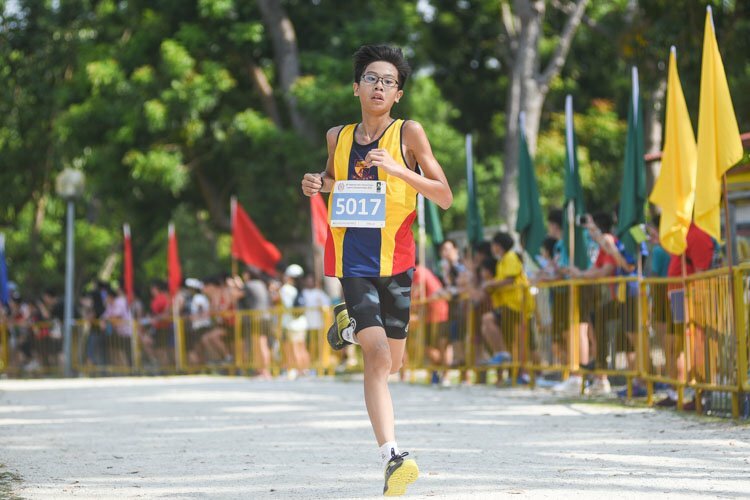 “It demands the best form from both teams and it was really very exhausting,” Muhammad Zikri (TMJC #13) said. The first match thus provided a peek-hole to how the rest of the season would be like. With both teams hungry for the championship title, the battle for the A Division floorball crown promises to be as intense.